Wayne "Barney" Boettcher feels that, five years from now, you won't be able to buy a conventional car stereo anywhere, except online. "Small or none at all" is what Resto-Mod builders want as far as sound systems go. Street-shaking boom-box-mobiles are passé says Wayne "Barney" Boettcher—a corporate jet interior rigger who builds Resto-Mod interiors and sound systems by moonlight. Boettcher says a good friend of his, who works at a local electronics retailer called Sound World, predicts all traditional car stereos will be have to be purchased online in the next 5-10 years. According to Barney, the car audio trend has shifted dramatically away from heavy-duty hardware like amplifiers and big speakers to iPods, iPhones and small, hidden technology. He thinks no one will be retailing the old stuff we lusted for in the '60s and '70s. The only customers will be old timers and a few street rodders who want a stereo they can touch. If you go to Best Buy or Wal Mart you'll find they stock very few car stereos compared to five years ago. Some owners like Jeff Noll have no sound systems. Other enthusiasts say that the only noise they want to hear when they're driving is the sound of their engine. 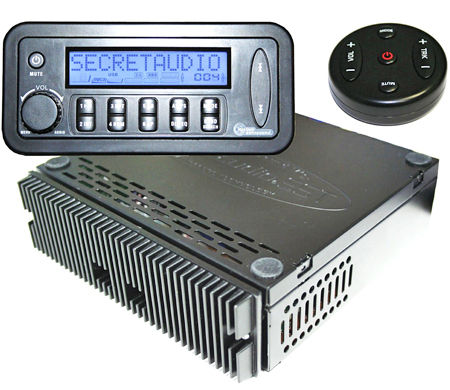 Custom Autosound's Secret Audio is a popular audio tuner with hot rodders. A company called Custom Autosound markets Secret Audio, a radio you can hide anywhere in your car. They basically took a radio apart and hid the pieces in the seat, trunk and door panels. The radio is tuned with a square little touch pad—a kind of remote control you can hide in the glove box. A new recently released Gen III Secretaudio.SST system has a 6-3/4 inch wide 6-1/2 inch deep 2 inch high tuner/amp, a 5 inch wide x 2 inch high x 3/4 inch deep digital LCD panel, a 10-ft. cable, a flush mount bracket, a flush mount bezel and a round remote control unit with an up to 40-foot operating range. The tiny Hideaway 200 Watt AM/FM CD controller includes a USB MP3/WMA flash drive, iPod control, CD control and satellite radio control. With this system, you either have no radio showing in the car or you leave the original radio in place, although it isn't used. The tuner/amplifier component can be mounted anywhere in the vehicle (even in completely hidden spots like under the dash or under a seat). 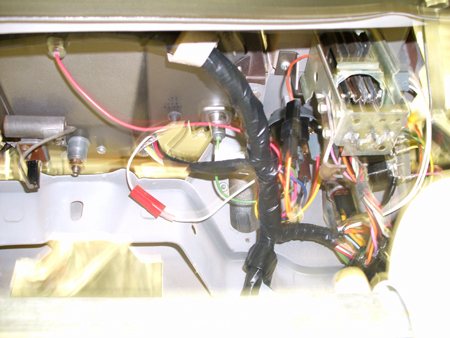 The 10-ft. cable used to connect the LCD panel to the tuner/amp is also hidden. The you put the thin LCD panel in a convenient or hidden spot (like a glovebox or console) and operate the system with the wireless remote control unit that has volume, track, mode and mute buttons. Boettcher says that a lack of manufacturer support is another problem chasing car owners away from conventional sound systems. One of his customers wanted a stereo hidden under the seat of a Resto-Mod truck he was building the interior for. The stereo was junk, but it was impossible to get satisfaction from the retailer, since his offshore manufacturer offered no warranty. The truck owner now wishes that he had installed a conventional CD player. In another case, the radio was knocking the battery down and Barney had no luck getting the tech support he needed to fix the problem. His friend was able to get Sound World tech reps to call the manufacturer reps, but they got nowhere. Boettcher says the attitude was, "You bought it, tough bounce." He noted that some customers would spend $1,000 on a reliable stereo and knows where to get one he likes, but he doesn't trust its tech support. This '57 Chevy will have a conventional-looking radio showing in the dashboard, but it will also have a hidden iPod. 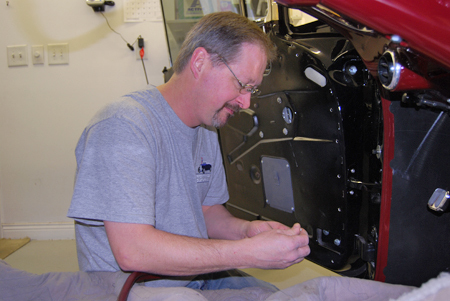 Boettcher believes that a lot of Resto-Mod owners today never even run the radio. They want other types of electronics that give them music and much more. The owner of a '57 Chevy Resto-Mod wanted his car set up for an iPod. Barney purchased an iPod docking station to hide in the center console that he was building for that car. Boettcher asked if the man wanted multiple speakers instead of just one 5 x 7-inch speaker in the dash. The Chevy owner said he could do fine without lots of speakers, so his high-end car is not going to have a high-end stereo in it. The man only listens to talk radio and felt that one speaker was enough. 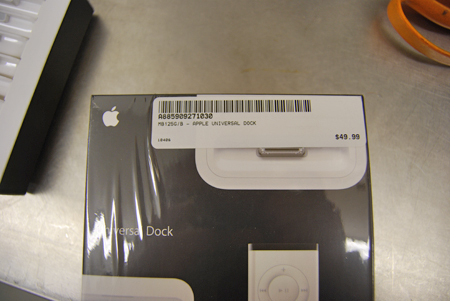 However, he did want an iPod docking station in the console. This is the iPod docking station that Preformance Upholstery is installing in the '57 Chevy Resto-Mod. 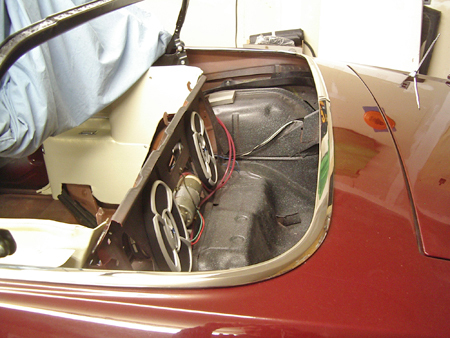 Many Resto-Mod builders put radios in an overhead console or center console or some other creative location. The truck owner opted for an overhead console, but some guys don't mind the traditional middle of the dashboard hole. As far as speakers go, you can spend $50 or $250. Aim for the middle or higher. A speaker is where your sound comes from and you get what you pay for. When building a sound system, remember to leave room for wires and speakers. Check the size of components before you buy them. You can't make a 10 lb. speaker fit in a 5 lb. hole. A lot of times, extra support bracing has to be put in to support a sound system component. Once an interior is finished, there's usually some places you won't be able to reach to drill after-the-fact holes. Jim Mokwa carefully planned the sound system that he installed and gave a lot of thought to determining the speaker size he wanted in his car. Many Resto-Mod builders think they have a solid plan for a sound system, but don't ask the right questions. If you can put in hardware and speaker panels before the car is painted and trimmed, the owner might be able to do some actual test drives to see what works well and what doesn't. That way, when you get to doing the final sound system install, all the problems will be worked through. A very important phase of planning is routing the wiring. For instance, no one wants to see an antenna anymore. Most Resto-Mod owners want a little 18-in. stick-on antenna that can be hidden. Usually, it's best to put it as far away from the radio as possible and up high at the roofline. Feeding wires through an interior requires sufficient room. Coaxial cables are pretty big—about 3/8- or 7/16 in.—and you have to have a place to snake them through. When working on any Resto-Mod try to locate the wiring as neatly as possible. Try to work as neatly as possible when wiring a Resto-Mod up. Never cut wires and then have to splice them. That creates electrical issues and opportunities for breakage. When you buy a stereo, the harness is usually clipped to the back. There are only 6 to 10 wires and you can solder them to the wires and leads, then shrink wrap them to make them as nice as you can. Don't buy your audio equipment too soon. If you buy your stereo and speakers well in advance of finishing your build, the system may be outdated by the time you are doing final assembly on the car. 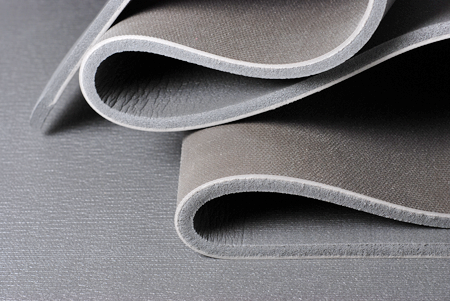 The technology changes every three to six months so only buy equipment if you plan to install it immediately. Matt Planning, of Delafield, Wisconsin, is a former Harley-Davidson sound lab engineer who invented a device that makes vintage car radios compatible with the latest iPods, MP3 music players and other such up-to-date devices. His innovation took place after he discovered that car enthusiasts liked the idea of having old-fashioned looking radios with up-to-date audio quality and features. Matt Planning is a former Harley-Davidson sound lab engineer who invented Redi-Rad. Some had AM/FM conversions done to their old radios for $400 or more. Others reluctantly replaced the factory radio with an aftermarket radio so they could use their Sony Walkman or iPod to play high quality music while driving. Matt's RediRad™ is based on what Resto-Mod builders said they'd really like to see in the market. It's an adaptor that allows modern music players like a CD player, iPod, Sirius/XM satellite radio, cassette player or portable FM radio to be hooked to a vintage car's original radio and play through the old AM band. The device can be hidden behind the dash. The factory original radio remains fully functional. However, when the car owner wants to use a modern music player, it can be plugged into the RediRad™. The Redi-Rad device hooks to the back of the OEM radio and allows you to play modern music players through it without losing its regular functionality. A specialist in marketing sound systems that look right and fit right in older cars is Custom Autosound Manufacturing, Inc. (www.custom-autosound.com). This company started in 1977, when the muscle cars that inspired today's Resto-Mods were simply used cars. 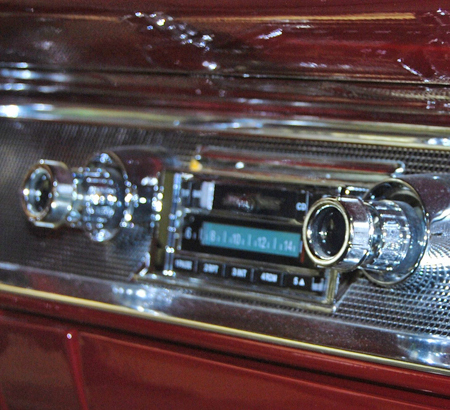 About 15 years ago, we installed a Custom Autosound radio in our 1962 Mercury. It fit in the dash, had a Mercury logo trim plate and worked well, but at that time we were disappointed that it wasn't an exact match for the original factory unit. 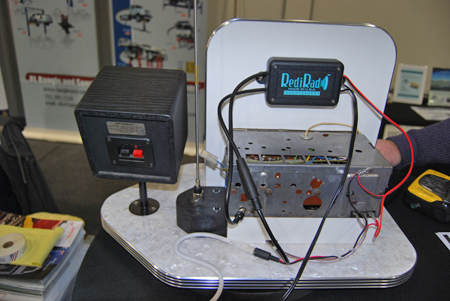 Even though Custom Autosound radios are even less like original radios today, they're the perfect answer for Resto-Mod builders because they combine retro styling with up-to-date audio technology. 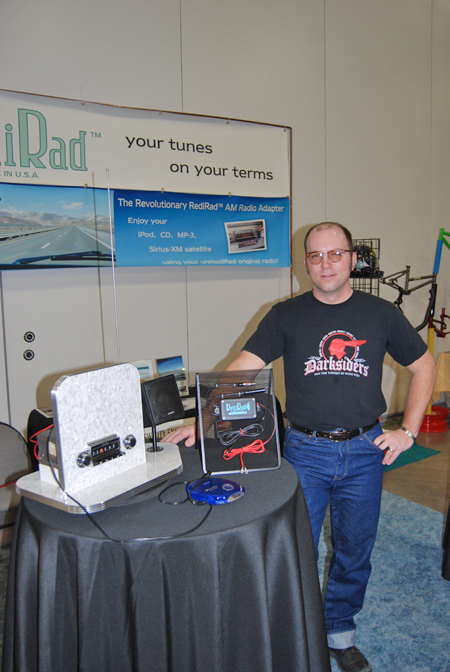 When Mike Dougherty talked about Custom Autosound products at the 2011 Hot Rod & Restoration Show in Indianapolis it was clear that some of the industry changes we spoke of above are influencing both the looks and features of the radios he sells. Years ago, the company simply purchased Kenwood or Pioneer radios and converted them to classic car fitments by using different knobs and trim. Today, these major manufacturers are no longer making shaft tuned radios Dougherty said that their view of the market goes 10 years backwards and that as far as they are concerned, there are no cars older than that on the road. Custom Autosound now has to manufacture its own radios. Even these true custom-built units are affected by modernization. For instance, a few years ago it became nearly impossible to get old style shafts with tuning springs like old radio had. Custom Autosound was forced to start using digital control shafts. This is why, when the radios are switched on, you'll see a digital display behind the old-fashioned looking analog display that appears when the radio is turned off. Even the large old-fashioned pushbuttons are hard to find. Although exact replacements for a '62 Mercury radio or a '48 Plymouth radio are "unobtanium," the Custom Autosound line is designed to fit into the original dashboard openings of many classic cars with no cutting or permanent modifications. Dougherty stressed that all of the company's products could be removed and replaced with the original radio, if the car owner ever wanted to. He also pointed out that the company's radio kits are not one size fits all products. Each product is custom designed to fit into specific classic or muscle car dashes. When a member of the audience said that he was having problems getting an exact replacement for his Plymouth radio, Dougherty pointed out that some companies will put new electronics into an old radio. He said this is a job that costs about $600. "I opened a few and looked at them," he admitted. "It almost looked like someone stuck a portable AM/FM radio inside the old radio and charged $600 for it." Another man in the audience chimed in, "And you still have 60-year-old sound quality." Dougherty said such conversions didn't impress him. Custom Autosound radios have all-modern electronics. The company's best-selling USA-630 model includes an AM/FM and USB Flash Drive player, a direct CD controller, electronic controls, a digital clock and an auxiliary input for connecting an iPod, satellite radio or other portable music player via a 1/8-inch RCA pin jack that comes with the unit. The radio features 240 watts 4x60, a USN interface that plays MP3 and WMA files from a flash drive (with alpa-numeric displays for those files), four-channel RCA pre-outs, separate bass and treble adjustments, fron/rear faders, 12 FM and for AM pre-sets, a USA-Euro tuner, an auto antenna lead and sample USB flash drive with instructions and music files. To order a complete Custom Autosound system for Jeff Noll's '67 Camaro, you select one of three radios (depending on what features you want), then add KCAM-67/8 kick panels made for that car, plus No. 2001 speakers or No. 4010 Dual Voice Coil speakers. For Jim mokwa's '69 GTO, you'd select the radio of your choice, KCHV-68/2 or KCHV-68/2A kick panels and No. 2001 or 2002 speakers (depending on if the car has A/C or No. 4010 Dual Voice Coil speakers. The 2002 speakers are for cars with A/C and all the systems require dash mods. Dougherty passed on some install tips at his seminar. He stressed that when you order a radio or complete kit, it will already come configured for your car. You will not have to adjust the control shafts or anything else. Unless it is one of the few systems covered by footnotes in the catalog (such as the '69 GTO), it will fit right into your car's dashboard. Adjustments aren't required. According to Dougherty, some people take things off the radios and then complain that they don't fit properly. He stressed that most models should not be taken apart. They are ready to go right in the dash. If you take the bezels off, for instance, it will change things and it will be a while before you figure out how the set goes in the dash. He said there are exceptions, like the Custom Autosound radio for 1959-1960 Chevy Impalas. On that model, you do have to take the bezels off. It is one of just a few that has a face plate. On most, the bezel goes behind the dashboard and the radio will fit perfectly into the original opening. Custom Autosound has also come up with a solution for cars that were hacked up when radios were put in them back in the '60s or '70s. A special radio is offered for cars or trucks in which the dashboard has previously been cut. It has the retro styled appearance of a classic radio and it eliminates the need to make expensive dashboard repairs just to have a radio look right in a vintage car. Did we mention that Redi-Rad inventor Matt Planning was an "antenna engineer" in a previous life? When Motorola invented the first car radio system and installed it in a 1930 Studebaker it had an antenna mounted under the running board. This worked really great in an era of uncrowded band width, but today's Resto-Mod builders are fighting a battle for good radio reception. According to Mat Planning, in order to make invisible, imperceptible radio waves become sound waves you need an antenna that converts the electro-magnetic energy of a specific radio frequency into an electrical current that is flowing on a wire. You also need a wire or transmission line going to the antenna. It routes high-frequency signals without external noise pickup. Twin-lead (like your parent's old TV had) and co-axial cables are most common. Cables have different impedances for different applications (75-ohm co-axial is common now). The radio removes the high-frequency part of the signal. It cleans up or filters the raw audio. It also amplifies the audio signal a million fold-from micro-volts to volts. A speaker is used to convert electrical current into acoustic waves or sound. A speaker cone moves in relation to the electrical signal it receives. The efficiency of an antenna depends on its mechanical dimensions relative to the frequency being received. Modern antennas do an efficient job of receiving FM and are less efficient at receiving AM broadcasts. While the running board antenna was hidden and not a problem in car washes, it was inefficient and pulled in non-uniform reception. It was also prone to damage from road junk. This design was soon replaced by the "chicken wire" antenna used in the roof of 1930s cars. These usually sat below a fabric section in the roof and were electrically connected to the metal bodies of cars only by a single isolated wire. Next came the traditional telescoping "whip" antenna that gave good reception, especially for FM bands. It was simple, cheap and looked great when slanted back and mounted on top of the rear fender, with a matching dummy on the other side. The whip antenna also came in handy for flying little flags in parades or for attaching streamers, fox tails or little cactus-shaped creatures. Many of today's Resto-Mod fans will favor a dipole antenna, although it has more problems than benefits. Its plusses include good noise immunity if mounted horizontally. It's also a good impedance match for 75-ohm coaxial cable. Minus points include the fact that the horizontal position is perpendicular to radio-wave signals. You also need a Bal-Un (a device for converting a balanced line into an unbalanced line) for the best radio signal transfer. And as far as "real world" problems go, there's now two pieces for vandals to steal or break off. The boomerang style antennas seen on many luxury cars-and some Resto-Mods-are actually bent dipoles hidden in an aerodynamic case. Though the look good on a car, they are typically very inefficient for broadcast radio reception. One of the best types of antennas is actually the fractal, which is small and nearly invisible, has excellent efficiency, works well with both broadband and narrowband signals, is immune to vandals and car washes and requires no tuning. The drawbacks are a computer-intensive design (fractals resemble non-uniform icicles) and the fact that fractals diverge completely from traditional design equations and techniques. In short, they are hard to make. Sometimes bad radio reception has little to do with the type of antenna on your car. Corrosion on cable ends can be a big culprit. Radio frequency signals travel on the outer surface of the wire and can be hindered by corrosion. Oxidation reduces the signal level, which results in lower fidelity. Failed condensers in the ignition system make radio reception suffer. Condensers have a shelf life well under 15 years. Do not use old ones, even if they are NOS. Vibration, air and time are enemies of good radio reception. Cold solder joints and electrolytic capacitors can fail. Nicotine or sun bleaching can ruin a radio speaker cone. Use of the wrong type of antenna hurts reception, too. The basic rule is, the more metal in the air wins. 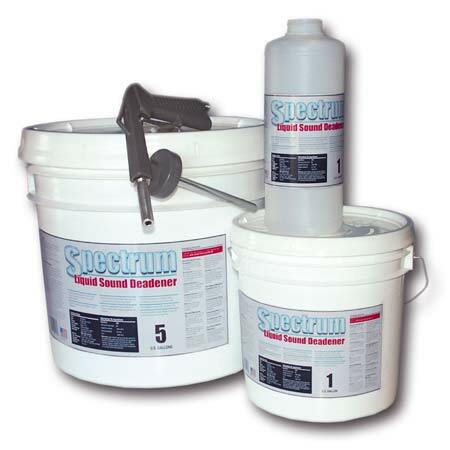 Second Skin Spectrum is a liquid undercoating that is popoular with rodders who want to reduce body resonance and road noise. Second Skin Luxury Liner Pro is a sound deadener that's important to Resto-Modders who want to hear their engine hum and get top sound quality.